Over six years, since my daughter developed Addison’s as a barely-minted teenager, I’ve watched with increasing concern as she’s steadily grown outwards, not upwards, as the daily steroid medication she needs to manage her endocrine condition takes (side) effect. Until about a month ago, I’ve largely avoided talking about weight with my daughter. I never weighed her at home. I avoided words like thin/fat/overweight/skinny/chubby. I complimented her character and achievements, rather than her looks. I don’t want to give her a complex, or send the message that I’d rather have a thin daughter. But it’s a really tricky thing to manage. To complicate things, I’m never quite sure how her special needs and autism affect her level of understanding. And the sad truth is that many special needs kids are overweight. Yet, the bald fact is it’s a recurring topic of conversation with her specialist. My daughter’s medication is based on her body surface area. The greater this is, the more steroids she needs, so the more she’s likely to gain weight. Add to this our family history of auto-immune disease, including Type 1 diabetes, and she’s odds-on to develop another. In fact, my daughter has developed vitiligo and is showing signs of hypothyroidism. 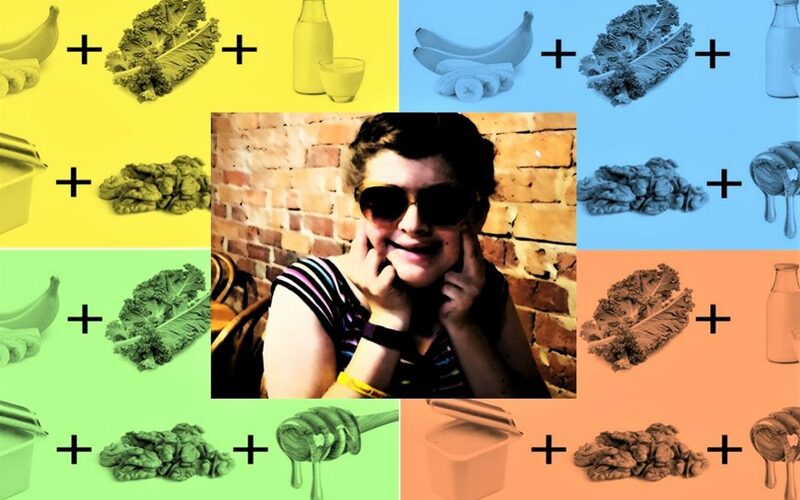 Given all she needs to manage, with a minor intellectual disability and autism, the last thing she needs is diabetes. Bless her, she doesn’t raid the cupboard like her brothers, so I know that there’s no extra snacking between meals. She eats healthily. Yes, there might be a weekly iced chocolate but I figured that surely that was okay. She lives by the tyranny of the Fitbit. Last year, I upped her daily target of 10,000 steps to 12,000, as her weight kept climbing. That was one of the few occasions where I did mention weight gain to my daughter. Despite all this, she’s continued to gain weight. Something needed to change. I just didn’t know what. Crunch time came at the beginning of the most recent school holidays. She didn’t fit into trousers that she had fitted only eight months ago. This was becoming a numbers game for me. Back home, I weighed her and checked it against her most recent hospital measurements. I measured her stomach circumference, checked her height and plugged all the information into two different, reputable measures of healthy weight ranges, the Heart Foundation BMI Calculator and CSIRO BMI Calculator. There it was. She was overweight. And, judging by what else I went on to read, she was well on the way to developing insulin resistance (if she hadn’t already) and Type 2 diabetes. There and then I determined to stare down the voices in my head, on social media, on TV, on radio, at school, in my community, and tackle the weight thing head on. Right. It was time to make changes to her diet. The endocrinologist had already said that limiting her food intake was the only option. I felt that I was already doing this and it was clearly not working. I would never put her on a fad diet or something so different from her usual pattern of eating it would be unsustainable. 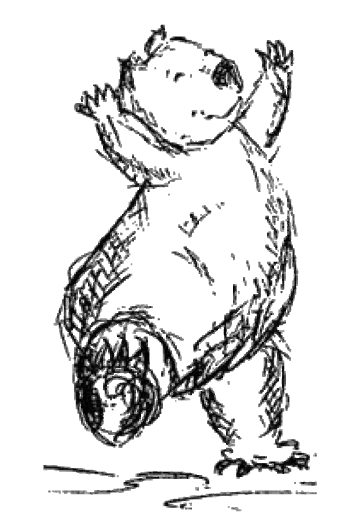 The key was something relatively easy to adapt to and sustain once her weight was a healthier level. Something proven by real scientists, not TV diet evangelists. Something safe. Aha! number 1: Many years ago. 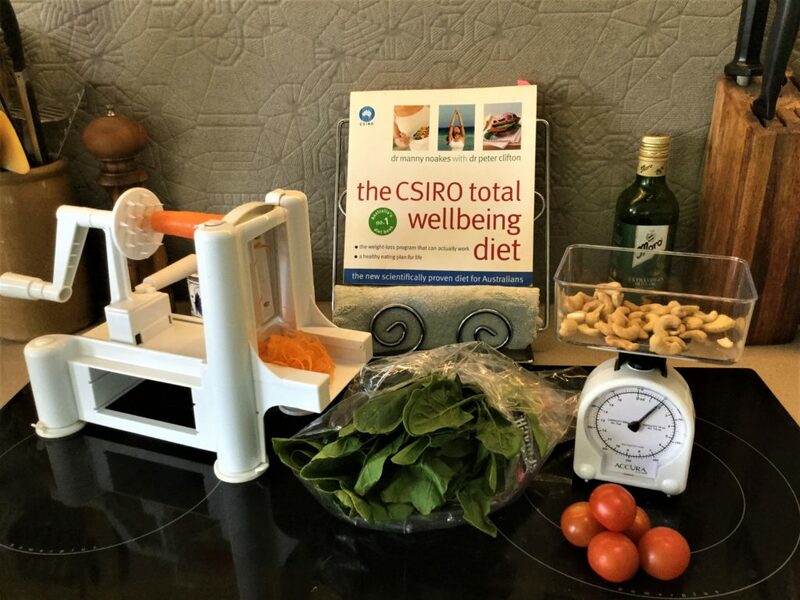 Mum gave me a copy of the CSIRO Wellbeing Diet. I had used a couple of recipes from it, then it had sat, unloved and forlorn, among other rarely used recipe books. Now, its time had come. Aha! number 2: The more I read about insulin resistance, the more I felt my daughter fitted the profile of someone who was developing it. What I was reading from the CSIRO Wellbeing Diet made sense. The research was compelling, the success rates encouraging. It set out an achievable lifestyle change. I liked how exercise was a key part of the story and the focus was on a diet that would be easy to maintain. The best part for my daughter? Probably the fact that every meal was set out for the next twelve weeks. No longer would I have to “um” and “ah” when she asked me what was for dinner tonight, tomorrow and the day after. I could refer her to the book! Hooray! Certainty for her, a plan for me. I began changing her diet the very next day, after spending a ridiculously long time at the supermarket checking off every item on my list. I found a small set of scales at the local op shop. And, joy of joys, I also found a spiraliser. Given the increased quantities of vegetables my daughter would be consuming, at least I could make them look more appetising! If I was going to do this, I was jolly well going to do it properly. The biggest changes for my daughter was limiting bread and cereal carbs. No more biscuits in lunches or for afternoon teas. Strictly speaking, even the wholemeal bread for lunch tipped her over the daily limit. Breakfast cereal was now carefully meted out, dinners plumped up with extra veggies rather than potatoes, rice or pasta. Measured, controlled, but definitely not oppressive and definitely tasty. All of us have been eating a little better over the past four weeks, although two out of my three sons still disdain most vegetable offerings. My daughter’s lunches are definitely more interesting. Instead of the same daily sandwich, it’s either a sandwich with LOTS of salad and meat, or a tasty stand-alone salad. She takes mixed nuts (luckily she’s out of school), low-joule jelly and little fruit salads. I’ve definitely been eating better too. The results began to show very quickly. Under the new regime, I’m doing a weekly weigh-in. At the end of the first week, she had already lost 2kg. At the end of week four, it was 4 kg. 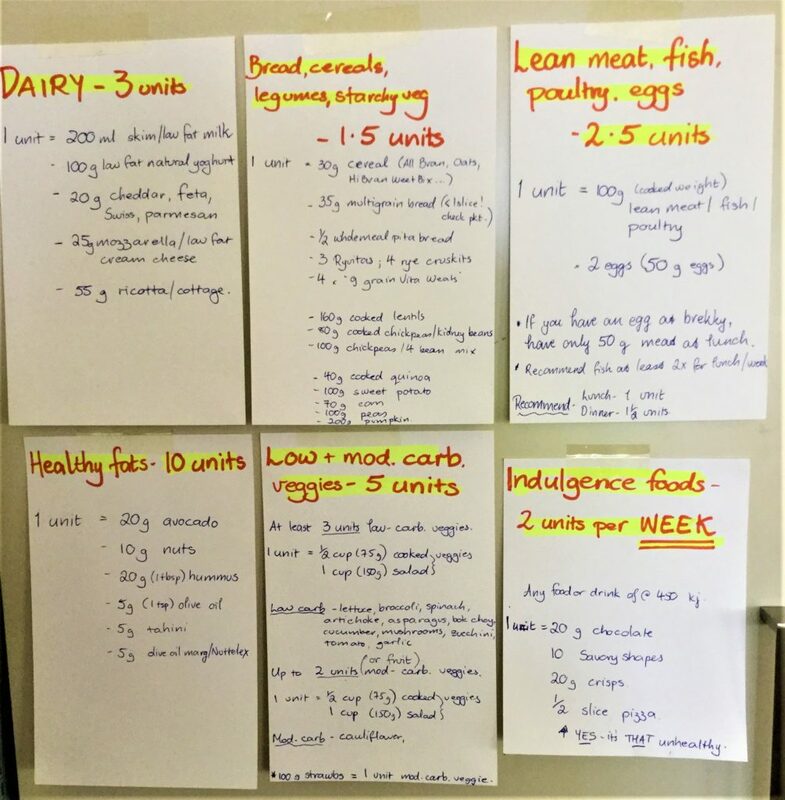 I then began adapting, blending the CSIRO Low Carb Diet with the Well Being Diet to create the best diet plan. We’ve followed up with her endocrinologist and I have his blessing to continue along this path. I also have a pathology slip to get a whole lot of extra things tested before our next visit. And I’ve just joined her up at a local gym, so she is not reliant on our driving her to her weekly gym program – freeing her up to go more often. She is noticeably faster when we’re out walking. On two occasions, she started to run on ahead of me on her own initiative. This has NEVER happened in the past. Her endurance is greater. She no longer stops every few driveways to complain about being tired. Three times, of her own volition, she has chosen not to eat dishes she’s prepared as part of her weekly training classes, rice and potato-based dishes she loves. She has exercised self-discipline to do this, in the midst of peers eating away. This is socially challenging for anyone to do, yet she’s done it. Interestingly, she is a little more talkative, adding comments to conversations, or initiating them, where once she would have stayed silent. Best of all? She’s feeling good about herself, and her self-confidence is definitely growing. In Part 2, I’ll be reflecting on the thorny social issue of ‘weight’ and how this impacts our journey. Stay tuned, and in the meantime, Happy Wombatting!